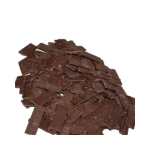 Bakels top quality chocolate flavoured coatings in finger shape form, for all chocolate work. With their high sheen, crisp snap and good flavour, these coatings are recommended for all chocolate work including Easter eggs and Christmas figures etc. Product of South Africa.